My Olive Tree has joined the Bridge to Zion crowdfunding platform to form a unique pro-Israel alliance—impacting the region’s economy and transforming the local ecology. As Jewish people from around the world continue to return to their homeland Israel, there is an ever-increasing need for jobs in the region. Experts have long predicted the need for a larger job market and many have turned to the majestic olive tree as a viable option for job growth. 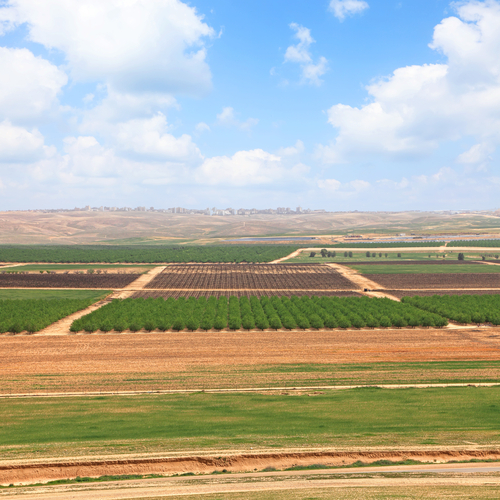 The Mediterranean is the perfect place for farming as the growing season lasts almost all year long. While vast stretches of uninhabitable desert run throughout the nation of Israel, Israeli farmers continue to perfect their irrigation techniques, making sustainable agriculture of the olive tree a serious contender for job creation. The tree itself is multifaceted in the sense that it can produce many products just from the fruit alone. The leaves can also be harvested and pressed to create herbal remedies from their extracts, while olive tree wood is sturdy and is excellent for building furniture and souvenirs. However, to produce anything on a massive scale, a planting of immense proportions must take place. It has been estimated that at least one million trees would need to be planted in order to provide jobs on a large enough scale to meet the growing demand of unemployed Jewish immigrants. It is for this reason that My Olive Tree has joined the Bridge to Zion crowdfunding site with the goal of planting this amount of trees. Thousands of trees have already been planted, but there is still much work to be done. Won’t you join us as we strive to provide jobs for the impoverished living in Israel? What is Bridge to Zion? Bridge to Zion is the leading donation based crowd-funding platform designed to help organizations, ministries, businesses and individuals with Pro-Israel projects gain new donors, increase recurring gifts, engage supporters, and strengthen fundraising and communication across mobile and social channels. Our goal is to help support the Nation of Israel, both directly and indirectly, via comprehensive online giving, peer-to-peer fundraising, event fundraising, text to donate, and mobile marketing. Our mission is to create a Bridge to Zion by placing the most powerful tools into the hands of those doing the most good for the Nation of Israel, today!